We would like to conduct an experiment on how EFT can improve productivity in the corporate environment. We are looking for companies with a progressive attitude toward the wellness of their employees, as well as an interest in how dramatically reducing stress in the workplace can improve the bottom line. As you may already know, EFT is a popular, powerful stress relief tool that can be applied at a variety of levels. Our intention is to provide the highest quality of EFT skill, customized to the needs of your staff, and then measure the changes from a variety of angles. We can measure stress levels, happiness levels, the changes in individual issues, and of course, productivity. We expect to see dramatic reductions in the stress level of your staff, and measurable improvements in their effectiveness at work. This experiment will be conducted free of charge. If you find the results to be an outstanding improvement to your business, then we would be happy to design a longer term program to suit your needs. Stress has become a very real challenge in the workplace today, affecting productivity, longevity, physical health, interaction with others and medical costs. Just a simple internet search will provide thousands of articles on understanding stress, managing stress, research studies, mindfulness practices, and more. Stress at work can be caused by conditions in the workplace environment itself, but it can also be caused by the pressures of adult life. Relationships with spouses, in-laws, or other relatives can be a constant source of distress that we often overlook. Driving in traffic, raising children, or even unresolved issues from earlier in life can also affect our emotional state. One by one these little, incidental stresses can accumulate in to an unmanageable mess and affect any area of life. 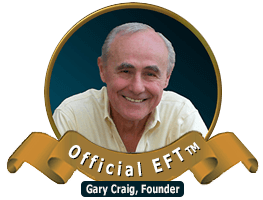 EFT was introduced in the early 90s and since has become a well-researched healing tool for everything from emotional challenges and performance to physical symptoms and serious disease. Our premise is that unresolved emotional issues can lead to any kind of complaint. With that premise, we have pioneered new territory for traditional therapy and traditional medicine. Levels of stress can range from mild to severe, depending on the conditions and issues leading to it. In general, workplace stress would fall on the moderate to mild end of the scale, where PTSD would be the common mental health diagnosis for severe emotional stress. EFT has shown outstanding results in studies conducted with Veterans diagnosed with PTSD. For many of these Veterans, the transformation is astounding as they lose their feelings of depression and hopelessness and regain the ability to function in the world. Properly applied, EFT is an extremely powerful healing tool, and compared to PTSD, reducing workplace stress is a fairly routine process. We can provide more information on those studies at your request. Ideal candidates for this experiment are businesses located in Northern California with a few hundred employees or more. The experiment will be designed with the needs of your business in mind, but we expect to work with 10 employees for a minimum of 4 weeks. We can also designate an additional 10 employees as a control group to better evaluate results. All employees will take surveys before and after the experiment. Setup for the experiment will include discussion with leadership in your organization to identify the best way to structure the work. We may want to work only with your creative teams, only with management, or we may want to take a broader cross session of employees. Individual work is the most effective but can be combined with group work as well. Ideally, we would focus our attention on any area of your business that needs significant improvement. We will be looking to confirm a reduction in stress levels first, and then measure how that has affected productivity or other areas of effectiveness in your business. We need to be able to measure productivity changes objectively and will rely partly on the existing corporate structure for those standards. This experiment will be conducted free of charge by Tina Craig, our Director of Training, unless the demand for this service exceeds the resources we have allocated. In that case we are happy to negotiate favorable terms. If you find the results to be an outstanding improvement to your business, then we would be happy to design a longer term program to suit your needs. See our About the Authors page for more about Tina Craig.